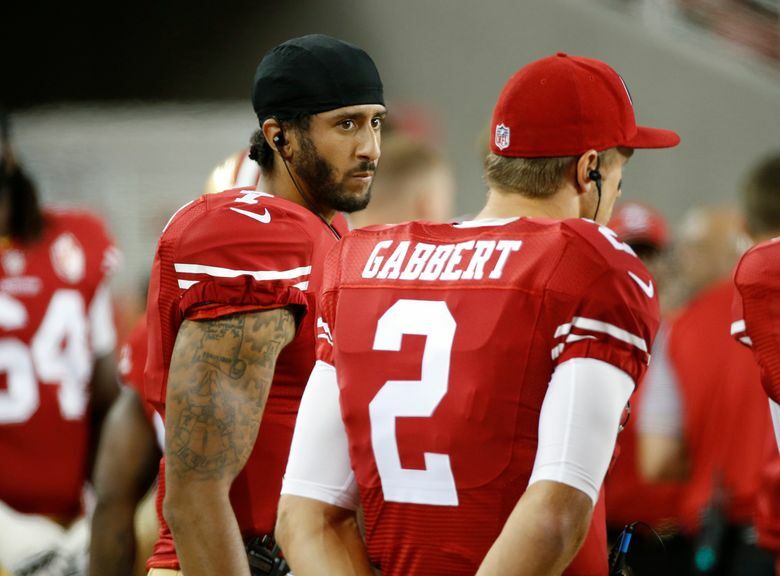 SANTA CLARA, Calif. (AP) — San Francisco 49ers quarterback Colin Kaepernick is refusing to stand for the national anthem before games because he believes the United States oppresses African Americans and other minorities. Kaepernick sat on the team’s bench Friday night during the anthem before the Niners played host to the Green Bay Packers in an exhibition game. He later explained his reasoning in an interview with NFL Media . Coach Chip Kelly said Saturday that he had not talked with Kaepernick about his actions or comments but said that Kaepernick also did not stand for the national anthem before last week’s game in Denver when he was injured and did not play. Kelly said Kaepernick is still in the running to win the starting job and his protest won’t impact the decision.